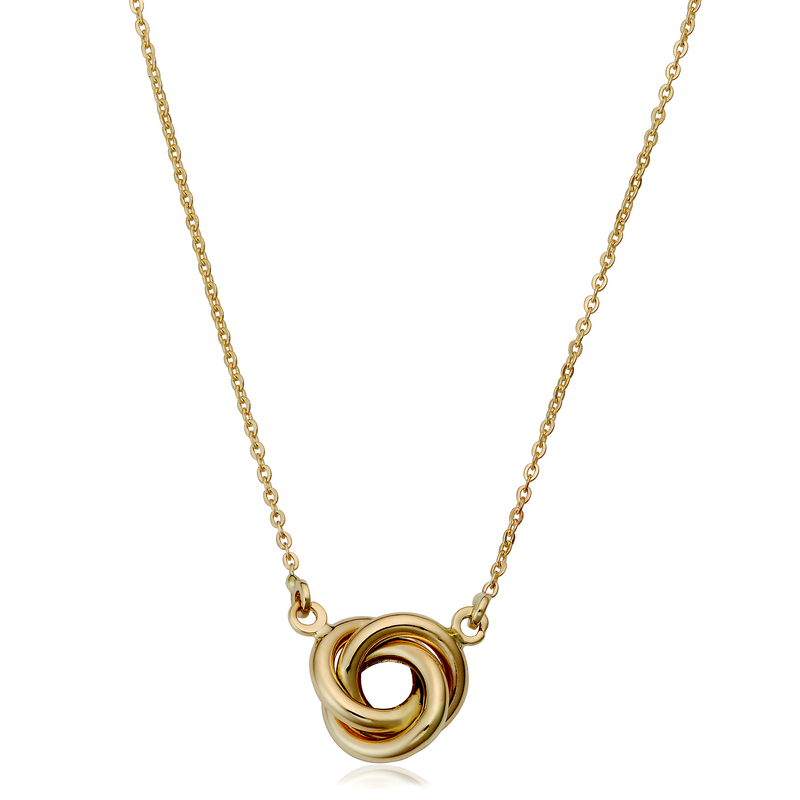 ›14K Yellow Gold Love Knot Pendant Necklace, 17"
14K Yellow Gold Love Knot Pendant Necklace, 17"
The timeless love knot motif is presented in this creative and classic pendant necklace. The 8MM polished 14K yellow gold design suspends from a 17" cable chain with spring ring clasp. This necklace comes in a complimentary gift box.